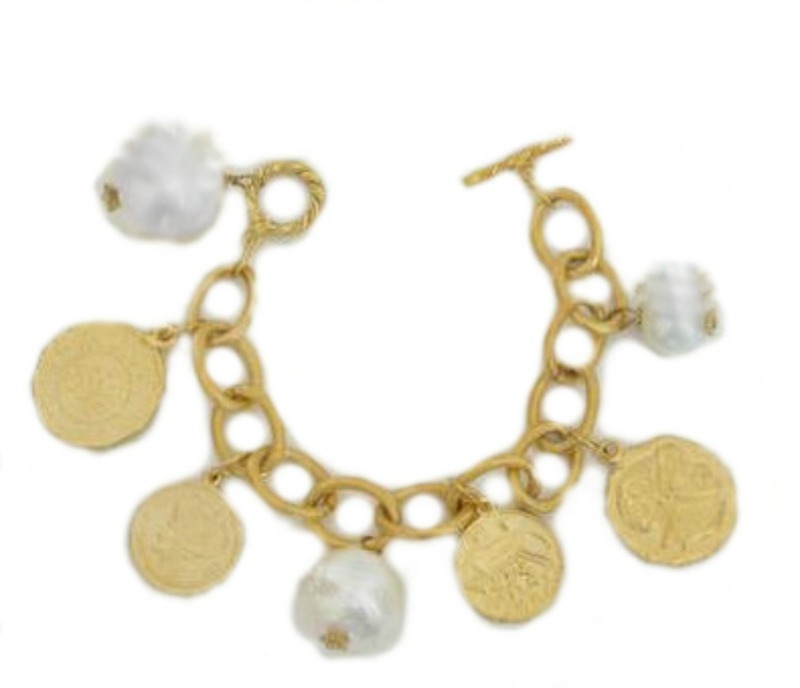 Absolutely stunning 18K Gold Plated link bracelet features cotton pearls and handcast 18K gold plated coin designed charms. Toggle Closure. One size fits most approximately 8 inches long. Made in U.S.A.